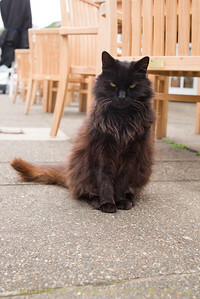 "Brian" the unofficial Derby Castle Station Cat can usually be seen around Derby Castle Station - the interchange between the Manx Electric Railway and the Douglas Bay Horse Tramway. 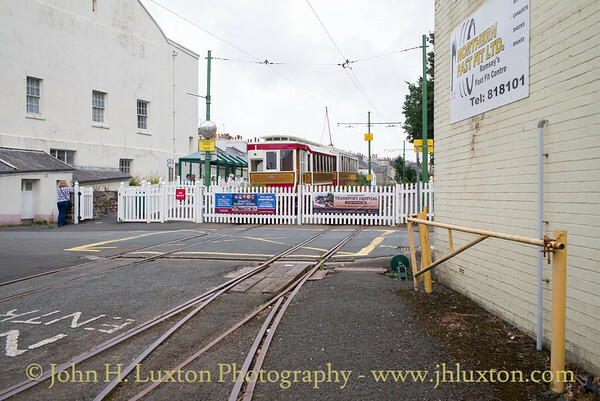 Here is waiting for the attention of visitors at the Terminus Tavern which is within the station area. 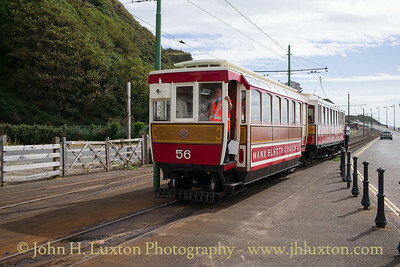 Car 20 with Trailer 56 at Ramsey. 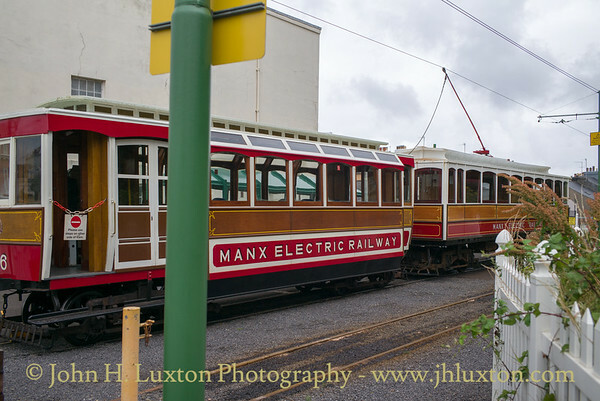 Manx Electric Railway - Ramsey Station. Cars continue to terminate south of Parsonage Road level crossing. 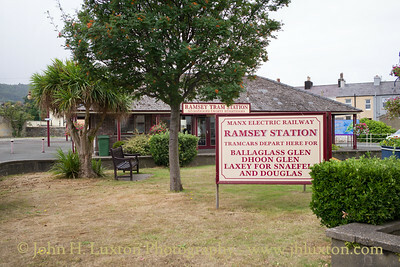 A waiting shelter has been constructed since 2017 as there is a considerable walk to the end of the line. 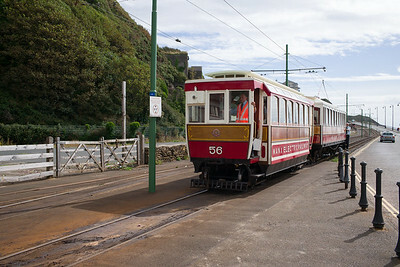 Car 56 being propelled into Derby Castle Station by motor car 20. 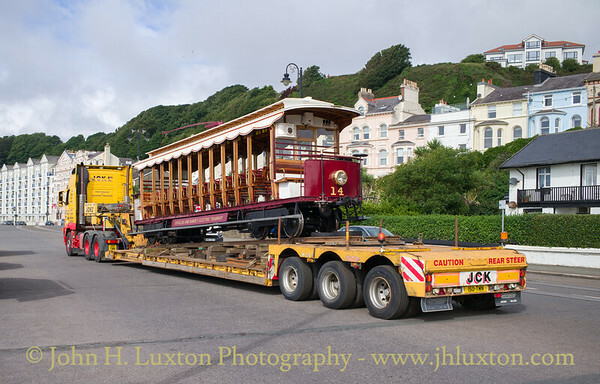 Originally an open trailer, No.56 was built in 1904 by the Electric Railway and Tramway Carriage Company of Preston alongside Cars 28-31 and designed to match, mounted on Brill 27CxT trucks. 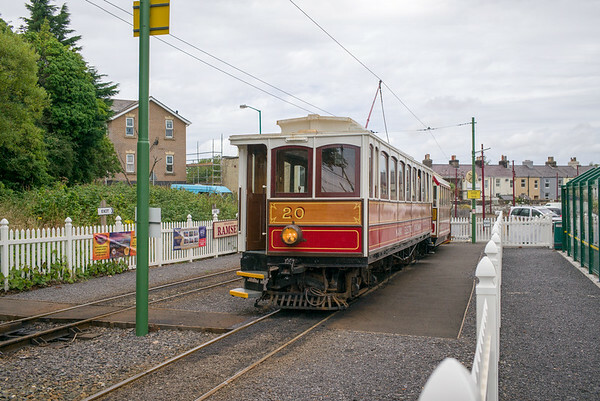 It remained pretty constant in traffic from construction with regular partner Car No.26 until 1991, whereupon it was chosen to be converted into an Enclosed ‘Disabled Access’ saloon car. It debuted in it’s new form during April 1995, with wider sides, removable seats and a wheelchair lift located at the Ramsey sea-side end. No.56 makes occasional appearances for private hires and times where disabled access is required on the timetabled service. Turning around car 14. 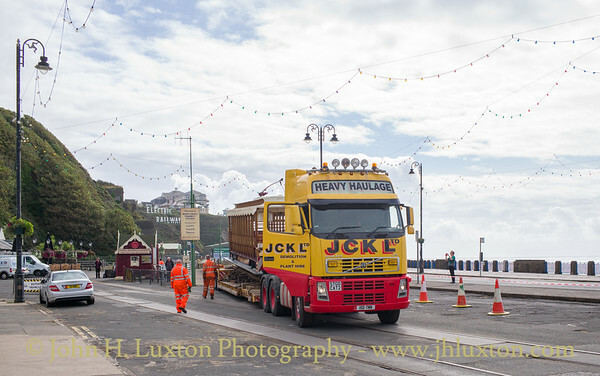 On the morning of July 30, 2018 Car 14 was loaded onto a JCK Ltd Low Loader at Derby Castle Station and taken for a run along Douglas Promenade the purpose of which was to turn the car around. 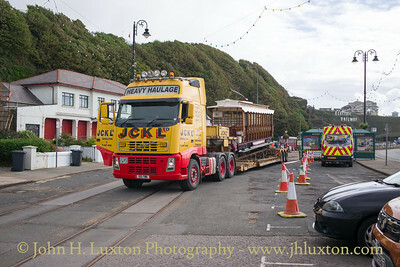 A few minutes after departure it returned to Derby Castle and was off loaded. 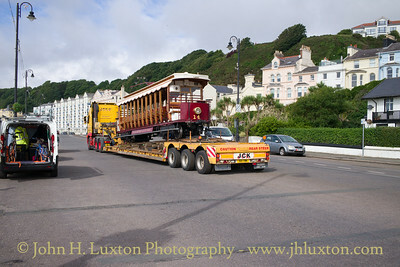 Unfortunately, I was departing on the 10:40 to Ramsey and missed seeing the car being driven off the low-loader. 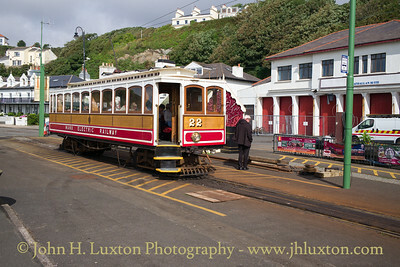 Car No.14 was built in 1898 by G.F.Milnes as the first ‘Open Crossbench’ motor car for the M.E.R. 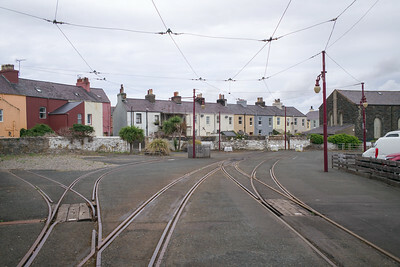 These cars were a departure from the saloon layouts of Cars 1 to 13 and shared a similar layout to the existing trailer vehicles. 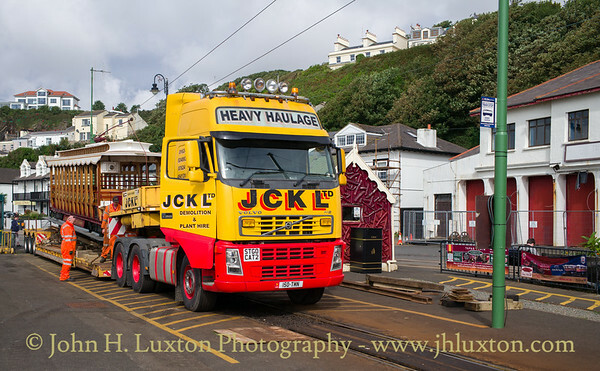 This series were the first cars to gain the then-new ‘E.C.C’ trucks, with four 20hp traction motors. 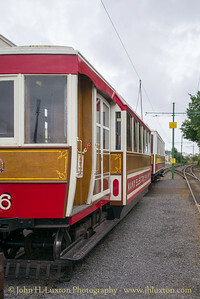 Apart from being fitted with roller shutters and extended footboards in the early 1900s, No.14 remained largely as-built throughout her career, receiving K12 Controllers to replace the original K11s during 1946, but later being swapped with another set of K11s from Car No.5 in 1963. 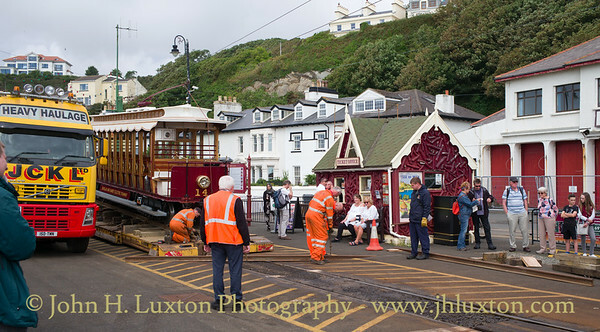 It received damage to the Ramsey-end bulkhead in August 1955 after a collision with Car No.22 at Lewaigue but was quickly repaired and returned to traffic the next year. 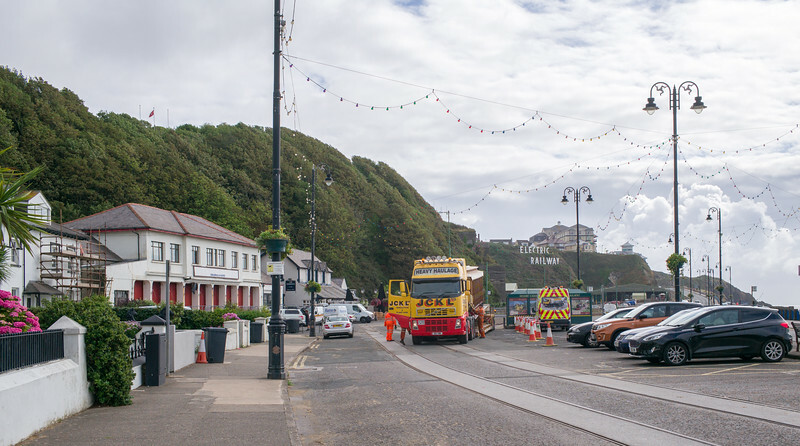 No.14, like most of the Cars that were not fitted with air brakes were used less frequently once Island tourism levels fell in the 1960s and early 1970s. A return to regular service beckoned in 1977 after the reopening of the line to Ramsey after two years of closure, and subsequent shortage of cars, however No.14 was withdrawn from passenger use two years later during 1978, soldiering on afterwards with the Overhead Line Department until she was stored in 1982 at Derby Castle Car Sheds. 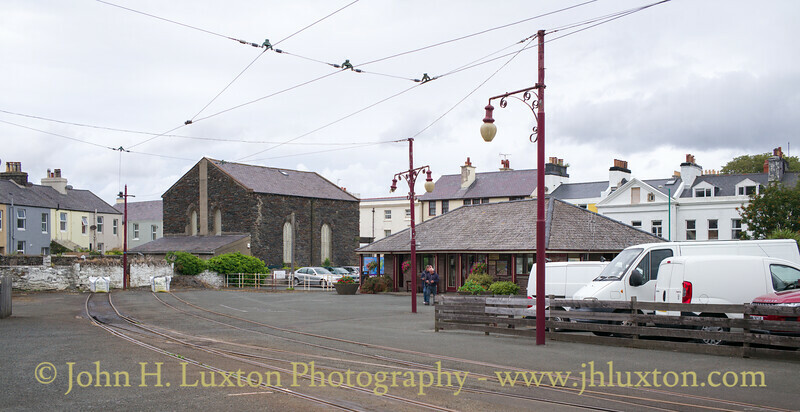 It was later moved to Laxey Car Shed during September 1996, later receiving damage to its Derby Castle end dash panel in a shunting incident with Car No.17 in 1997. No.14 was one of several cars to leave the system in April 2002 to be stored in the former Homefield Bus Garage in Upper Douglas. 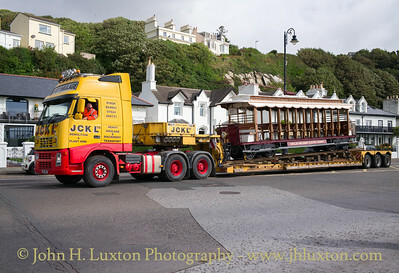 It returned to M.E.R metals in December 2009, moving to Ramsey Car Shed for further storage, with the Ramsey-end truck removed in-situ and replaced with wooden sleepers. 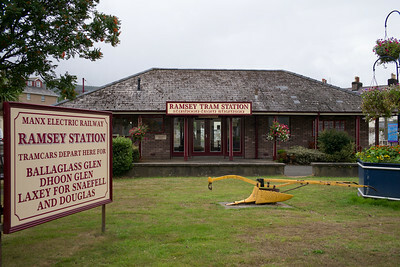 In October 2014 and with the demolition of Ramsey Car Shed imminent, the car was floated at the Ramsey-end with a Brush ‘D’ truck, in preparation for a move south. 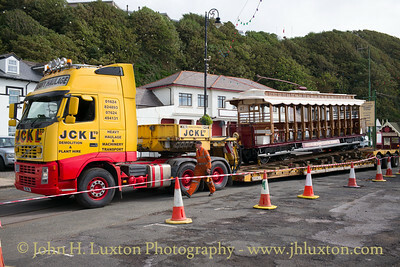 The move itself was undertaken in early November, No.14 moving by low-loader from Ramsey to Laxey with the Car placed for further storage inside Laxey Car Shed (albeit back to front as previous). 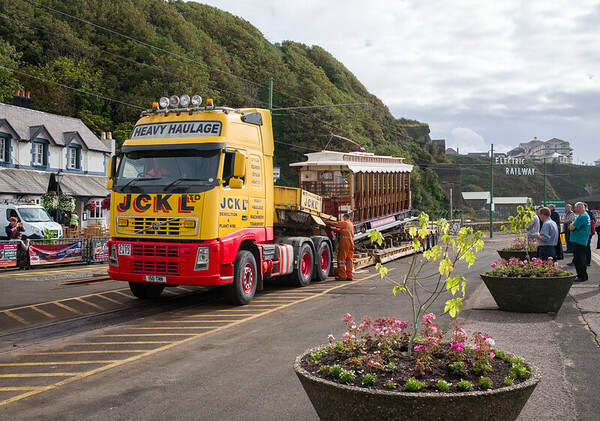 During March 2015 the restoration of the car to operational condition was announced, and Car No.14 was again partly re-floated under a Milnes Series 3 truck (previously from Car No.31) and moved from Laxey Car Shed to Derby Castle Car Sheds, with work completed in time for the M.E.R.s 125th Anniversary in September 2018. 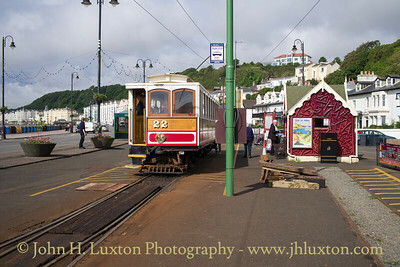 Car 22 awaiting departure from Douglas Derby Castle Station on the 10:10 to Ramsey. The car seemed none the worse for having been hit by a Ford Focus three days earlier at a level crossing when the car failed to stop and give way! Photographs in the local news revealed the car to be very much a write off or aat least in need of very costly repairs but 22 was undamaged.